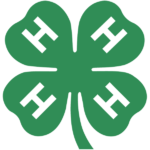 Are you interested in establishing a new fund to benefit Tennessee 4-H? Send us the information below, and we will contact you to explain available options and how to set up your fund. We offer donors the opportunities to give in honor or in memory of someone. If a donation is made in someone’s honor, that individual will be notified a gift has been given in his or her honor to the Tennessee 4-H Foundation. The donor will have the option to be recognized for the gift or to give anonymously so that the person honored will not know who made the donation. In the same fashion, a donor can choose to donate in memory of someone. If you designate a gift in memory of an individual, the family of that person will be notified that a donation has been made in their family member’s memory. Like memorials, this donation can be made anonymously so that the family will not know who made the donation; or the donor can be recognized for the gift.